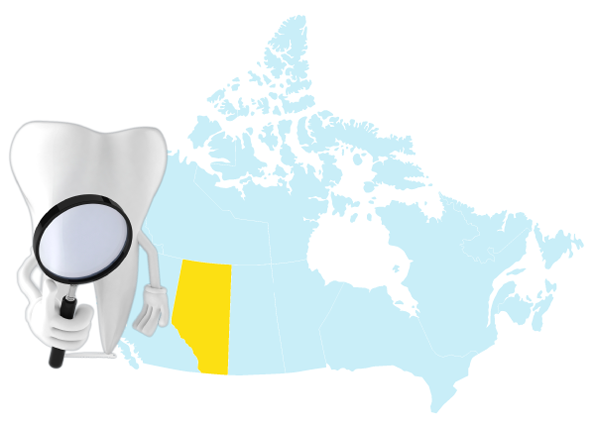 Team ClearDent will be in Alberta next month! We look forward to meeting both customers and offices interested in ClearDent. ClearDent’s ongoing commitment is to ensure our customers achieve the goals they outlined when they partnered with us. In short, we want dentists to be successfully paperless with ClearDent because a paperless practice is a smart practice. We put our words into action and we do regular visits, which we call ClearDent Health Checkups. This ensures our clients are getting the features they want, the service they need, and the digital x-rays and workflow are always tip-top. As we kick off 2013 with a ClearDent Health Checkup for our clients in Alberta in early February, we’re offering a no obligation meeting with us while we’re in your area. A $50 gift card for the entire office to spend. Information on email and text message appointment confirmations and recall reminders. Information on patient interaction using an iPad or other types of tablets in your office. Honest discussion on digital dentistry and paperless. Discussion about backup done the right away (hint: automated and in the cloud). Information on the importance of practice management software,taking assignment correctly, tracking A/R accurately, and complying withSterilization and College Record Keeping guidelines. Start 2013 off by maximizing your return on investment with ClearDent’s free Health Checkup. This no cost, one hour session is our gift to you. Help us learn your practice goals and recommend best practices for using ClearDent to achieve your goals. Ensure that you know about the new features that you have requested in the past and are using them correctly. Discuss assignment efficiency tools – taking assignment is a growing trend in Alberta and ClearDent has vast analytic to handle it efficiently. Learn how to track treatment record electronically in compliance with the Sterilization Act. Hurry, the session must be booked before February 6th, 2013.